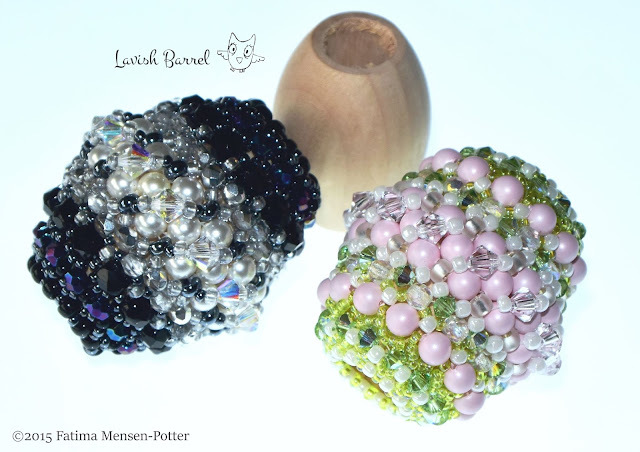 My Beaded Barrel project is free to download from Bead and Button Designs. Also it has been published on "Creative Beading" vol. 12, just released by Bead and Button. I have kits for sale in two colors. More beautiful colors are coming, so stay tuned. $15 with free shipping for USA residents. (Except for Alaska and Hawaii).